President Trump's seemingly top priority is to keep the promises he made on the campaign trail and remake the federal government. But judging from his first set of budget proposals to Congress, doing so is likely to come at the expense of those in need. Advocates for lower-income Americans see the president's proposed spending cuts in his "skinny" budget as an assault. "This isn't a budget that will make America great again. It's a budget that will increase hardship and poverty," said Robert Greenstein, president of the liberal Center on Budget and Policy Priorities. When asked at a press briefing if the president's spending blueprint is hard-hearted because it would cut programs that help low-income children and seniors, White House Budget Director Mick Mulvaney said he felt it was "as compassionate as you can get." "You're only focusing on half of the equation, right? You're focusing on recipients of the money. We're trying to focus on both the recipients of the money and the folks who give us the money in the first place. [I]t's fairly compassionate to go to them and say, look, 'We're not going to ask you for your hard-earned money anymore ... unless we can guarantee to you that that money is actually being used in a proper function." Trump's budget, for instance, eliminates funding for the 21st Century Community Learning Centers, which provides after-school programs to roughly 2 million students in high-need communities. Eliminating them could save $1.2 billion that Trump would use to help offset an increase in defense spending. When asked about one 21st CCLC program in rural Pennsylvania, Mulvaney wasn't familiar with it but spoke of after-school programs generally. "They're supposed to be educational programs, right? ... Guess what? There's no demonstrable evidence of [them] actually ... helping kids do better in school." Actually, there is research showing that after-school programs improve children's academic performance, as well as their emotional and physical well-being. What's more, the latest evaluation of 21st CCLC, based on teacher reports, indicated roughly 50% of kids in the programs showed improvement in completing their homework, and 37% saw improvement in their math and English grades. Rental assistance: A proposed $6.2 billion cut in funding for the Department of Housing and Urban Development (HUD) would result in "more homeless families, more people living in substandard housing, and more people struggling to afford the rent," said Mary Cunningham, co-director of the Metropolitan Housing and Communities Center at the nonpartisan Urban Institute. Trump's budget says it will continue to provide over $35 billion in rental assistance programs to continue helping 4.5 million low-income households. But Cunningham notes that without actual increases in funding, those programs can't continue to adequately help the same number of people because of annual rent increases and inflation. Help paying for heat: The Low Income Home Energy Assistance Program or LIHEAP is targeted for elimination in Trump's budget. It helps those who are eligible pay their energy bills, weatherize their homes and make them more energy efficient. Revitalization of distressed areas: About half of HUD's funding cut would come from eliminating the Community Development Block Grant Program. CDBG was set up to help local governments provide "decent housing," a suitable living environment and economic opportunities primarily for low- and moderate-income people. The money may be used to revitalize an area in a number of ways, including purchasing and developing property, rehabilitating buildings, improving water and sewer facilities as well as streets, and helping for-profit businesses develop an area economically to create jobs. 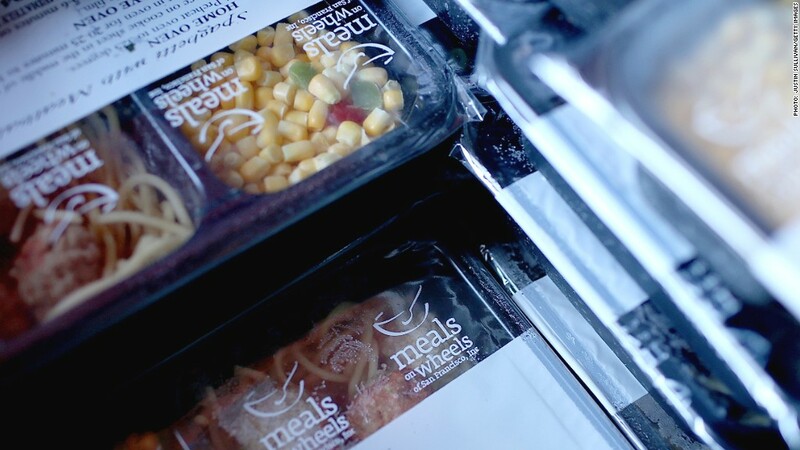 Food for the elderly: The well-known Meals on Wheels program would be hurt by the elimination of the CDBG, as well as proposed funding cuts to the Department of Health and Human Services. Losing the federal portion of their funding could mean painful choices, including serving just one instead of two meals per day to seniors in need and wait-listing newcomers. Legal aid for the poor: Trump wants to eliminate funding for the Legal Services Corporation. LSC provides grants to nonprofits nationwide that in turn provide civil legal aid to those who otherwise can't afford it. The beneficiaries of LSC funding include homeless veterans, low-income workers and victims of domestic abuse. Law firms across the country have said that defunding LSC would greatly impair legal services provided by nonprofit groups as well as provided pro bono by private firms.